The exhibitions space is made to represent an apartment with furnishing. 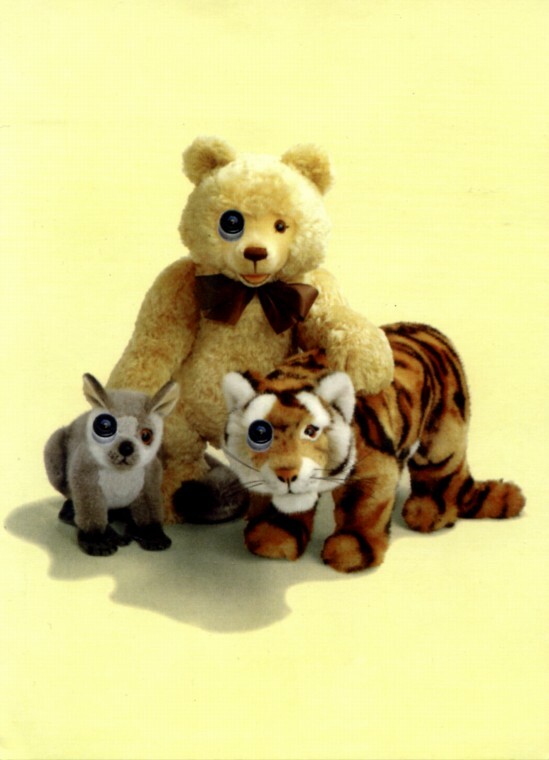 Stuffed toys, false teeth, plants and household items are implanted with surveillance cameras and bugging devices. Spy cameras, radio transmitters, monitors are everywhere, yet the setting is serene and in certain ways so spotless that it becomes disturbing. By creating a stylized, synthetic reality the project seeks to show various levels in our relation to technology, of our fascination and fear of media. Paranoia, in some respects, I think, is a modern-day development of an ancient, archaic sense that animals still have-quarry-type animals-that they’re being watched. . . . I say paranoia in an atavistic sense. It’s a lingering sense, that we had long ago, when we were-our ancestors were-very vulnerable to predators, and this sense tells them they’re being watched. And they’re being watched probably by something that’s going to get them. . . . And often my characters have this feeling. In the building where I used to live, a paranoid woman had a studio in the basement for several years until she, under duress, was removed by the police. In the process, this supposedly dried up little woman broke the arm and a couple of ribs of a tall policeman. The landlord told me that she was a lithographic artist educated at the Royal Academy of Fine Arts in Copenhagen, and maintained a printing facility in the basement studio. When I saw after she had been thrown out by the police, the cellar looked like the scene of a horror film with enormous heaps of bizarre debris and an improvised toilet in the back of the room. Unfortunately, this lady’s proclivities to arson and the subsequent dousing of the fire lent the already unhealthy arrangements a rather dank character on top of everything. But until she was removed, she had, on a daily or rather, nightly, basis tacked neatly calligraphed messages to the wall or door outside her studio. The most often recurring themes of these messages were that someone was watching her and that Anker Joergensen (Danish prime minister in the 1970s) and the butcher were sending ultraviolet rays through the basement. The phrase originates from a mad, paranoid, persecuted man “AK”, who hands out his Xeroxed flyers on the streets of Copenhagen. In these he describes his conspiracy theories of how the Secret Police of Denmark tap and control us. This organization operates by installing radio transmitters in blackheads in people’s pores as well as by exchanging people’s shoes for an identical pair in a smaller size. “AK” has constructed this organization and its activities from the small day-to-day irritations he experiences. The weirdest part of it is how all his explanations are invariably connected to technology: tiny cameras, microphones, ultra- and infra-sound, etc. This statement is excerpted from a test administered by Nordvang, a psychiatric hospital in the suburbs of Copenhagen. The patient has to answer “yes” or “no” as to the likelihood that he or she would have uttered one of 200 given statements. This allows the doctors to make a simple assessment of the type of patient they are dealing with. I know about the test because there was a time when nearly all my friends were more or less (mentally) disturbed and half of them were in psychiatric hospitals. While some of my mad friends had delusions of a religious nature, others believed themselves to be part of a science-fiction story. Anyway, I found the questionnaire so intriguing that I had to let it be part of my work. At that time I was collaborating with a friend, “JK”, who (by the way) was not hospitalized. We exchanged our artworks in progress, and when I sent him some extracts from the Nordvang questionnaire which I had incorporated into an artwork, he misconstrued my intent, thinking that I was questioning his sanity. He was so insulted that he didn’t speak to me for a while.